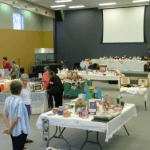 There are a wide range of activities for seniors at Mosaic Baptist Church ranging from friendship, fellowship, learning experience, worship through to prayer. Some of these are illustrated on this page. Creative Leisure provides a variety of crafts in the Page Auditorium on Wednesday and Thursday mornings from 9:30am to 11:30am. Tuition is free and there are great opportunities for friendship and social interaction plus the display of crafts annually. For those who do not possess computer skills there is a Basic Computing for Beginners which provides tuition weekly on either Wednesday or Thursday mornings in the Belconnen Community Centre. More information about Creative Leisure can be found here. Differing Worship Services style needs are met by the Reflective Service which meet on the 2nd, 4th and 5th Sundays, in the Page Campus Community Centre from 9:30am through to 10:30am with morning tea and fellowship to follow. More information about the Reflective Service can be found here. Additionally on the last Monday of each month a service of Praise and Worship with Hymns is held in the Page Auditorium at 6pm and concluding at 7pm with an evening meal, prayer and fellowship. Providing support for our grandparents, a Grandparents Prayer Morning is held every two months at the Belconnen Community Centre on a Friday morning commencing at 10.00 am with morning tea and fellowship followed by a visiting speaker (sometimes) and a time of prayer for our grandchildren. This meeting concludes at approximately 11:45am. 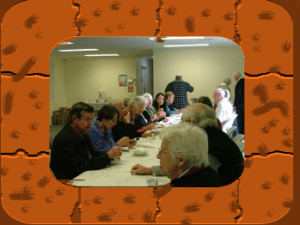 For Senior Men, a number of activities are available including Men’s Luncheons which are held monthly (3rd Friday) at the Belconnen Soccer Club, Crn Springvale Drive & Belconnen Way, Hawker at 12 noon and also the Men’s Shed at 32 Dallachy Street, Page. More details about Belconnen Men’s Shed can be found here.